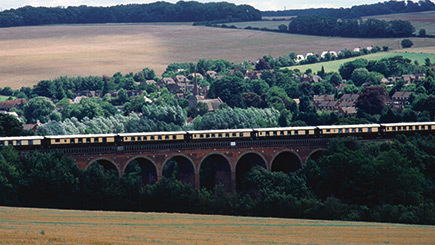 Celebrate a special occasion in classic style on trip back to The Golden Age of Travel with a steam powered train journey around the picturesque Surrey Hills. 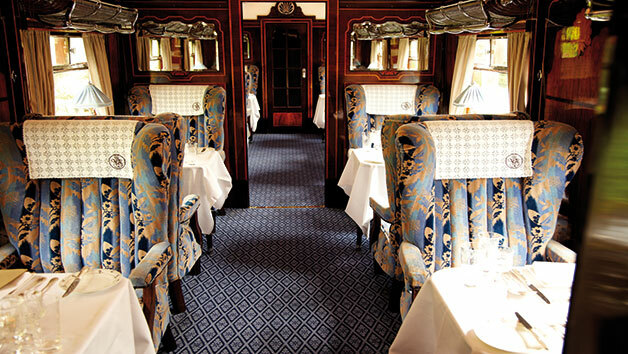 Climb aboard the Belmond British Pullman to be seated by the immaculately dressed stewards and enjoy four hours of pure indulgence. Listen to the whistle of the engine and the chugging of the trains on the track. Admire the scenic views over a decadent five course meal, including a British cheese board with chutneys and biscuits and sip on half a bottle of wine each. An truly unforgettable experience! This experience includes a 4 hours round train journey departing from London Victoria Station. If you wish to travel on a date that does not correspond with your voucher value, you may pay a supplementary fee. Please call Belmond reservations to establish a list of available dates. Certain journeys may have limited availability and you may be sharing a table for four with another couple. You will be advised of your seat assignments when you check in for your journey. 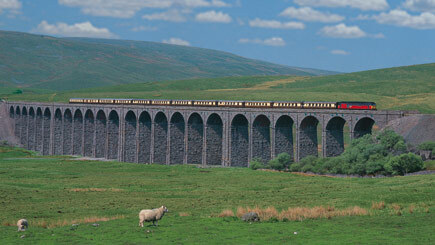 In the event of a train fault a diesel or electric train may be substituted and guest will be issues a partial refund.